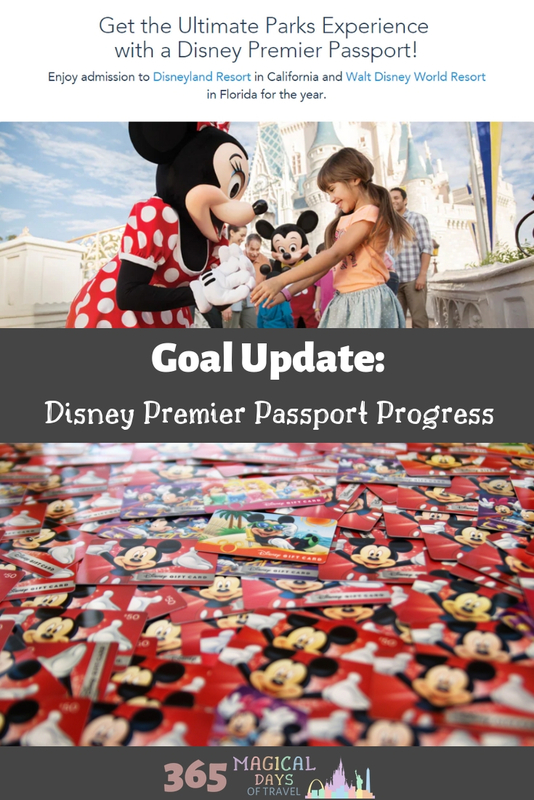 It was a good month of profits to put toward our Disney Premier Passports! We only had a couple of minor blips, but all in all, we came out much stronger than last time. 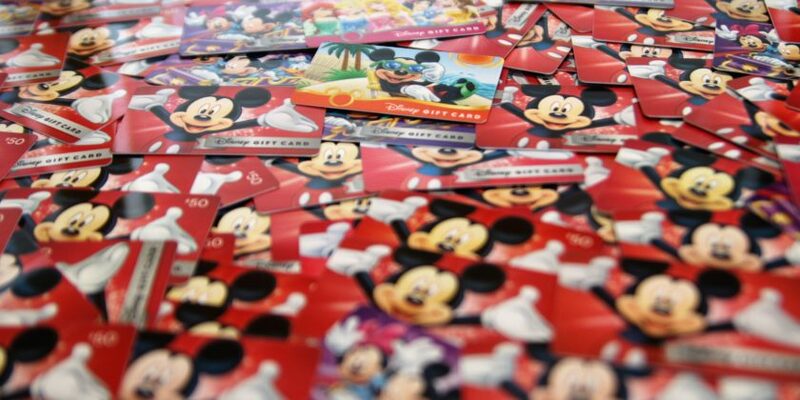 I hit the Target gift card sale hard, stocking up for the next year of Target purchases while skimming the profit straight off the top to put toward our Disney fund. 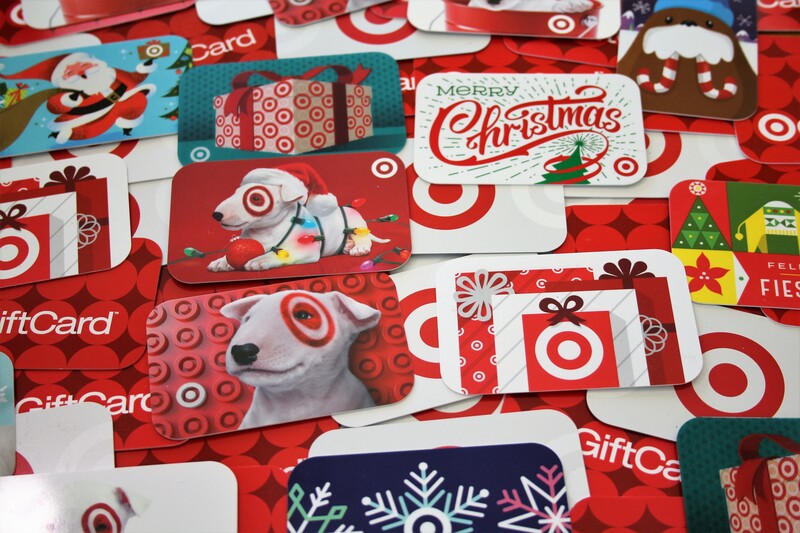 I bought $2100 in Target gift cards, so my savings was 10%, or $210. 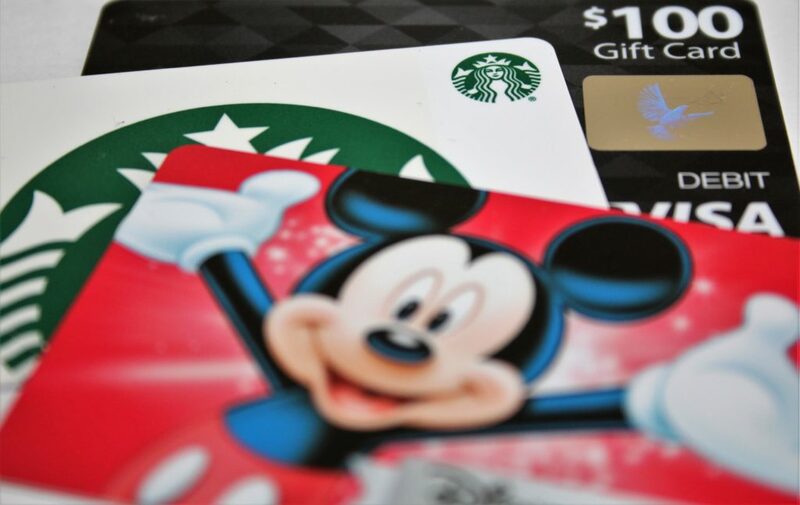 I love the deals where you buy so much of a certain product or category, and you get a gift card. I’m going to buy the product anyway, so why not get some free for it. This month had several good ones. The first one was for something I bought that I didn’t realize received a free gift card. The others were from a rare Lego sale, spend $50, get $10. I had already purchased all of the Lego sets I needed for the holiday, save one, so I had to use my repurchase strategy. If I find a deal on something that I can’t return, I’ll repurchase it and then return it with the older, higher priced receipt. So all of the sets went back, save the one I needed, plus a few extra for Carter in the future. This was $30, plus the $5 random one. 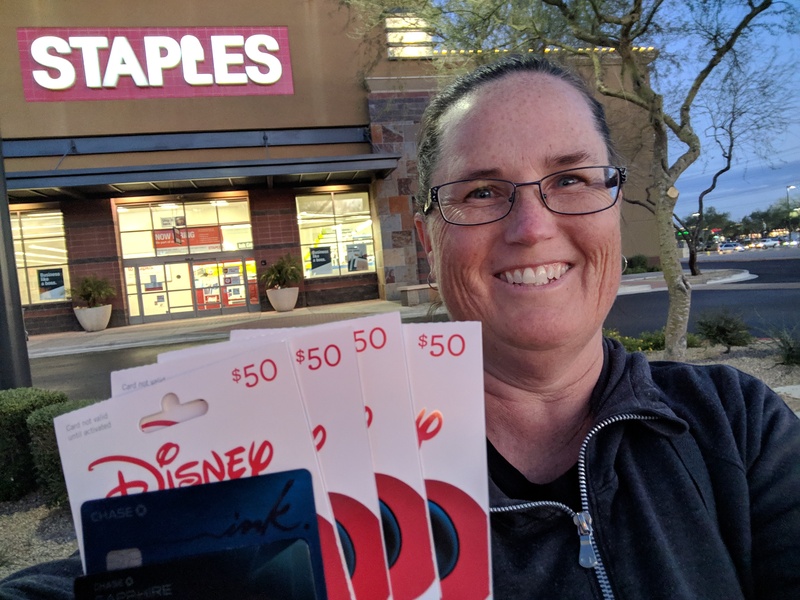 It was a great month for Swagbucks redemptions, what with all of the Best Buy shopping bonuses and a couple of big-ticket Discover offers paying out. I bought a cheap smartphone at Best Buy, too, (along with a gift card to meet the $100 threshold for the SB bonus of 750) but I took the price of the phone out of my Disney ledger since I plan to use it for Swagbucks video apps. I earned $90 in virtual Visas, minus $50 for the new phone. 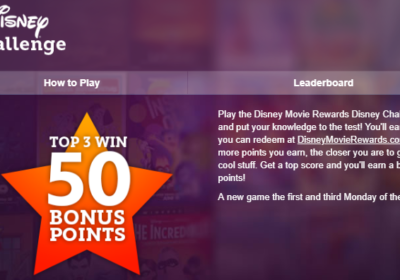 We received our $5 redemption from Disney Movie Rewards in the form of a Captain Hook gift card from the Villains series. I even have enough points saved up for another $10 more! I wrote about this offer last week. 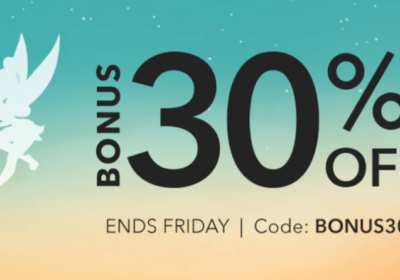 I had 30% off on two of my cards, up to $19 back. Rather than do the math, I decided just to make two transactions of $100 each. I received two emails from Chase, but one listed the cash back as only $6, clearly referring to the 10% offer on that card. I’ve put in a ticket to the Secure Message Center on the Chase account site and hope to hear back soon. Since I still had some money left over, I hit Best Buy on New Year’s Eve because I figured my ElitePlus status would reset with the New Year. However, according to my Best Buy account online, I still have that status! In the store had almost forgotten I had $25 in rewards, so I issued myself a certificate, waited for the barcode, and got in line. After all that, I forgot to use it at the register! Next time. This latest wheeling and dealing brings us up to $3697 out of $6000 so far. That seems like quite a jump from last month’s total of $3316. I think the big news here is the savings percentage going from 43% to 48%! I hope to see it continue to creep up, hopefully past 50% and beyond! Now I just need to save up some more in Swagbucks Visas before another deal comes along. If you’d like a breakdown of our savings, you can check out the spreadsheet below or click here to view it in your browser. You can also view our stats on my Home Page.